This source code is about PHP Login System. 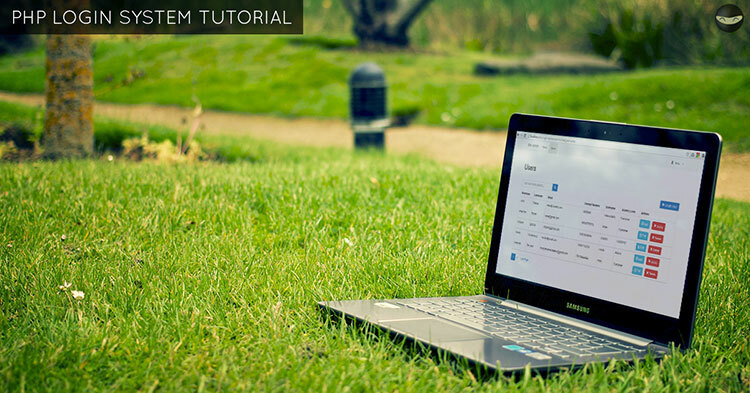 It will help you understand how to login and logout functionality works. Sign up email verification, user registration, and forgot password features are included as well. The basic idea is, we will have two user access levels: the 'Admin' and 'Customer'. If the 'Customer' is logged in, he can access pages assigned for him to be accessed, like the edit profile and index page for 'Customer'. If the 'Admin' is logged in, he can create, read list, update, delete and search users. See the full list of features in the table below. Where's the tutorial? We call this a tutorial because if your download the source code, you can ask me anything related to it. I can personally teach you the code and other tips you need. That's how we go about it for now. Formal tutorial or documentation of this code is coming soon. I'm currently working on it. Thanks for understanding! 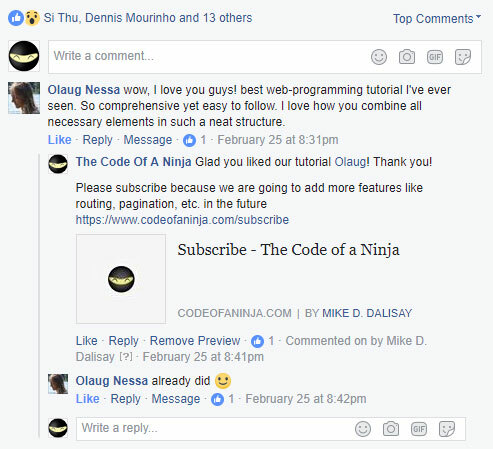 If you need the live demo link, send a request to mike@codeofaninja.com with subject "Login System Demo Link Request", thank you! You can see the features and download it below. Thanks for reading our PHP Login System Tutorial with Admin Features. Hello Mike, I just bought the code for your PHP Login System. It all seems to work well! Thanks in advance for any help. I know I’ll have questions once I dive into the details of the code! Hello Mike, I am just going through this tutorial and found issue with Step No. 7.3. Must be a common mistake, unable to find solution. As you mention here login screen will display on “http://localhost/php-login-script-level-1/login” but somehow its not. But when I add .php after /login it show the page. Even I followed all the steps till the end of this tutorial, even tried on local and on server. Login screen not visible.